Pick up from Kozhikode airport / railway station. Transfer to Kozhikode city is has markets with commodities like pepper coconut, coffee, rubber, lemon grass oil etc. Afternoon visit Kappad Beach , Pazhassiraja Museum & Art Gallery that displays ancient mural paintings, antique bronze and old coins, models of temples and the umbrella stones. Overnight in Kozhikode. After Breakfast check out from the hotel and proceed to Wayanad. (84 kms/ 1.5 hrs), The entire region is most notable for containing impressive mountain peaks, dense forests, and beautiful streams and other water features. On arrival check inn at hotel. Evening will be at your leisure. Overnight at hotel. Today after breakfast proceed for sightseeing Thamarasseri Ghat, Pookat Lake – a beautiful natural fresh water lake surrounded by evergreen forest and wooded hills, and the Ambalavayal Heritage Museum housing artifacts and belongings of various tribes. This is reputed to be one of the best heritage museums in Kerala. Overnight at hotel. After Breakfast check out from the Hotel/resort and proceed to Guruvayoor. On arrival check inn at hotel. Later you visit the famouse Temple of Lord Krishna/ Vishnu. Overnight at hotel. After Breakfast will proceed to to Athirapally & Vazhachall water falls Night stay at Athirapally. After Breakfast check out from the Hotel/ Resort and depart for Cochin (110 kms / 2 hrs). 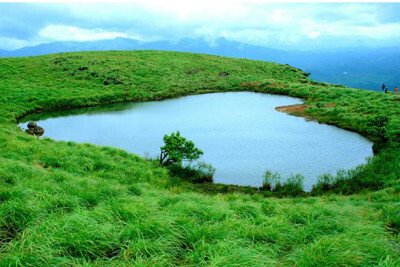 En route visit Kodnad famous for elephant training center & the scenic place of Kerala. Also visit Kalady, it is birthplace of Adi Shankara. Afternoon arrive & check inn at hotel. Evening visit local sightseeing of Cochin including, Chinese Fishing Point, Old Church & Handicraft Market. Evening you can enjoy shopping at local markets & visit Lulu Mall. Night stay at Cochin. After Breakfast check out from the hotel and proceed to Cochin airport/Railway station.